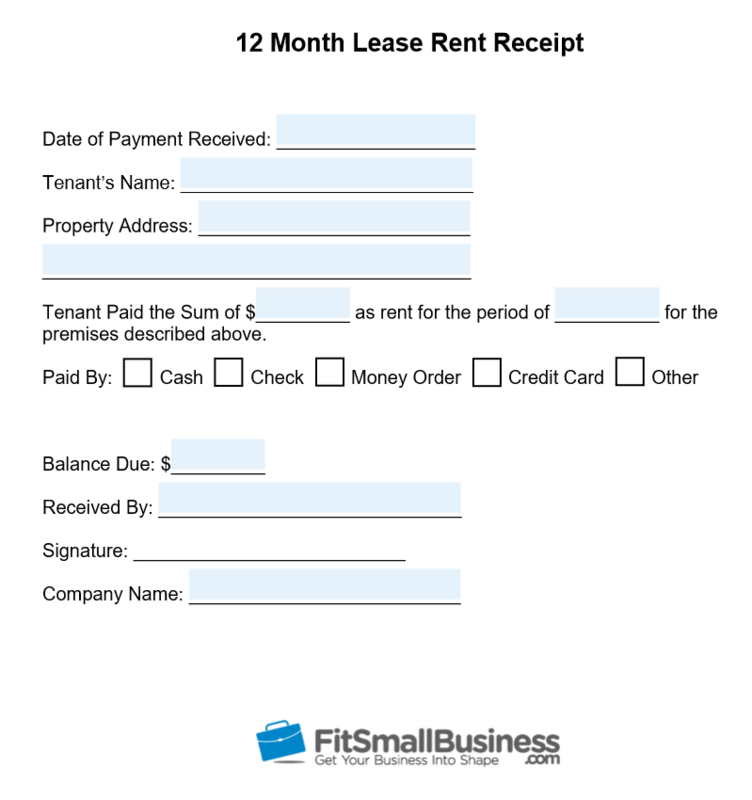 A rent receipt is a paper or digital document that provides proof that a tenant paid rent. Generally, it contains the date of the transaction, rental period, landlord and tenant’s name, the amount of rent paid and more. The rent receipt is used by landlords and property managers to keep track of who has paid rent. If you’re tired of sending out paper receipts, one alternative is Avail, a landlord and property management software that allows you to manage all aspects of your rental properties. You can accept and manage online payments, email digital receipts to tenants, schedule maintenance visits, screen potential tenants’ rental history and more. Try it for free for 30 days. You can use our free rent receipt templates to keep better track of your tenants’ payments and provide your tenants with peace of mind. They serve as examples that show you what to include such as the amount of rent received, date received, property address and late fee and you can even add your logo to the rent receipt. Choose the rent receipt that best suits your property. Download for your free rent receipt. In many states, a free rent receipt is required if no other record of the rent payment is provided — for example, if the tenant wrote a check and has a record from his or her bank. A rent receipt is an official record of a rent payment signed by the landlord or property manager who receives it. For tenants who pay their rent using cash, a rent receipt may be the only record they have. For landlords, the rent receipt can let them know which tenants have been paying on time, who owes late fees and generally help to keep them organized and their rent roll accounted for. Rent receipts can be used as legal proof that rent was paid for disputes, evictions, tax purposes or simple record keeping. Tenants may keep copies of rent receipts to show a new landlord that their rent was continuously paid on time. Conversely, a landlord may keep copies of rent receipts to decide not to renew the lease if their payments were often late. 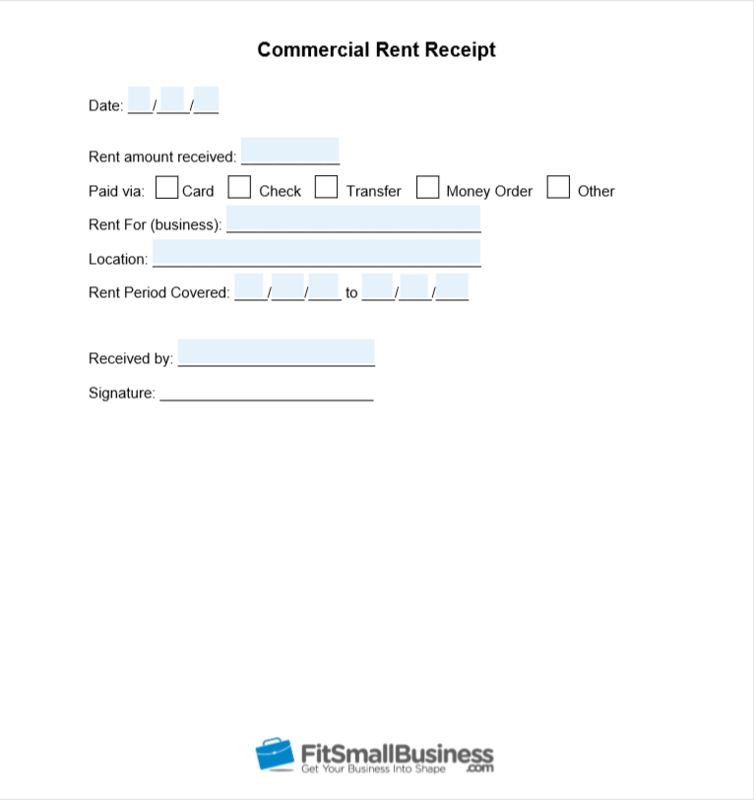 Generally, rent receipts are simple, concise and just contain a few main parts. A rent receipt should always have a copy for the landlord and one for the tenant. Some states that require rent receipts may require that they contain certain information including rent amount, rent period and property address. Regardless, they should include a few key details such as tenant name, landlord name and signature, balance due and method of payment. The parts of a rent receipt are spelled out in more detail below. Keep in mind that a rent receipt provides proof that the tenant paid rent. However, if the form of payment was later declined for insufficient funds, the rent receipt won’t prove that wrong. For example, a tenant may write a check, and it bounces. The tenant can’t use the rent receipt to say that the payment was successfully processed. So, don’t worry about providing rent receipts for checks or credit card payments. It’s generally recommended that landlords and property managers use a rent receipt for all transactions. However, if the tenant mails a check, then the check stub and bank statement can serve as his or her rent receipts. While many states require that landlords provide their tenants with rent receipts, many states do not. For example, in New York, landlords only need to provide a rent receipt if the tenant pays with something besides a personal check or requests that the landlord provide a rent receipt. However, a landlord can air on the side of caution and provide a rent receipt, so there’s no disagreement later on about if rent was paid or when it was paid. Besides your potential legal obligation, you should give your tenants a rent receipt for their peace of mind. Remember, part of your job as a landlord is to make your tenants feel comfortable and secure in their homes. Giving a professional looking rent receipt reminds them that you take their tenancy seriously and value them as tenants. In turn, they will be more likely to value you as a landlord, treat your property with care, pay rent on time and so on. If the landlord-tenant relationship is positive, it’s also less likely that you will have to file an eviction, which can be costly and time-consuming. If you’re not sure if your state requires rent receipts or if you have any other landlord-tenant law related questions, check out our landlord-tenant law guide, which includes an interactive map of all 50 states. 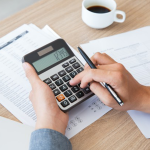 Rent receipts can vary widely depending on how the rent was paid, the type of unit that’s being rented and the rental arrangement you have with your tenant. Your lease will also influence parts of your rent receipt such as type of payment accepted. There are a few basic things that all rent receipts should include like payment amount and date received. Keep in mind that a rent receipt should be short and to the point with the important information included but nothing extra. You don’t need things like remaining months left in the lease, number of occupants, and more. Avoid confusion and take the less is more approach with a paper rent receipt. Remember to keep one copy for your records and give one to the tenant. You can make copies of each rent receipt template, so you have enough or use a rent receipt book from an office supply store that offers rent receipt carbon copies that you rip out. 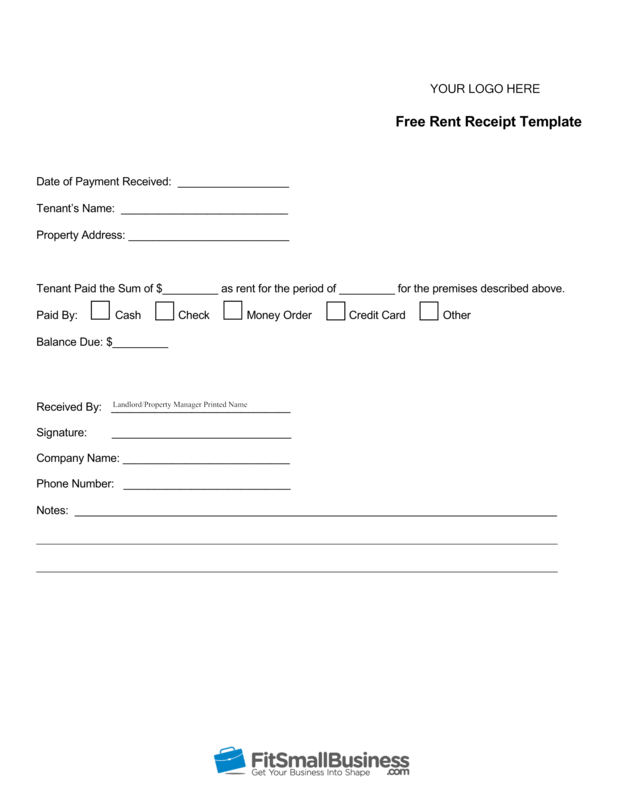 You can still use our free rent receipt template and make sure all of the pertinent information is in your rent receipt book. Your free downloadable rent receipt serves as a template for what to give tenants when they pay rent. It saves you time coming up with your own template of trying to find one that applies to your property. Our rent receipt templates show you what to include, such as amount of rent, date and signature. Choose the rent receipt best suited for your property. Paper rent receipts are generally used when a landlord or property manager picks up a tenant’s rent in person or if the tenant drops off cash, a check or money order to the office. However, today it’s becoming more and more popular for tenants to pay their rent online where paper rent receipts aren’t used. When a tenant pays online, a digital rent receipt will be sent to the tenant. An automated digital rent receipt is the best alternative a paper rent receipt. It’s easy to send because it’s automated as soon as the tenant’s rent is received. This means you don’t need to meet them in person. You also don’t need to keep track of paperwork because the receipt is saved digitally. A digital rent receipt also saves time when you’re using real estate accounting software because there’s already a digital file. 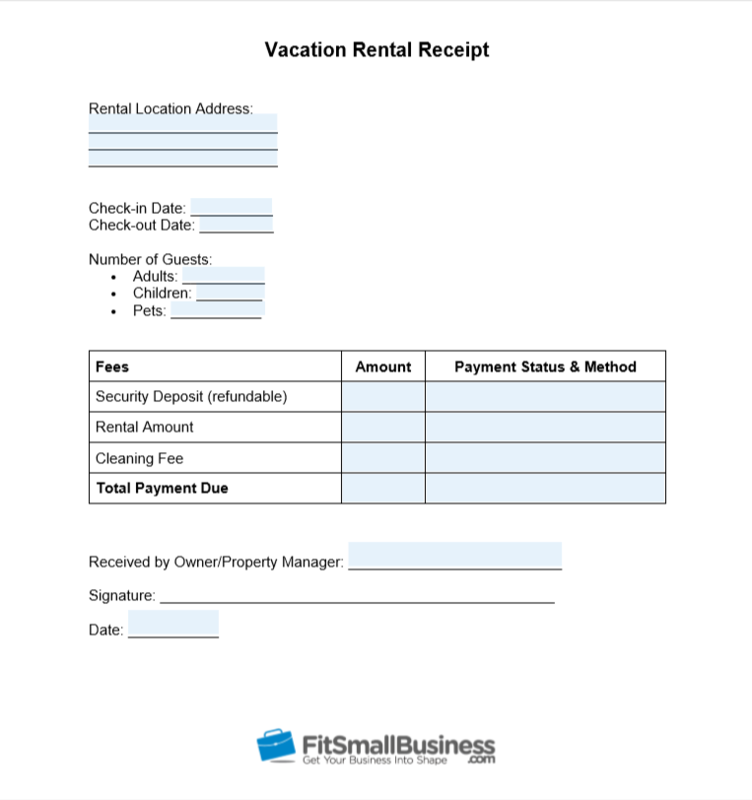 Automated digital rent receipt: Provided by the property management software like Avail that accepts the rent payment, usually emailed to the tenant. PayPal or money transfer app receipt: These apps generally email the user a receipt of their transaction. Credit card statement: Depending on what type of credit card the tenant has, they may have each transaction emailed to them; otherwise, they can keep track of their rent receipt by looking at their credit card statement; this option is only a receipt for tenants. All of the above rent receipts will include the payment amount, the date the payment was made, who made the payment and who the payment was sent to. However, there won’t be a signature of the person who received the payment, so it’s important for a tenant to make sure they deposit the rent into the correct account. 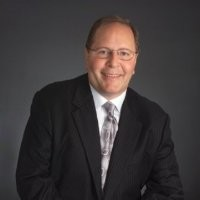 If there’s a dispute about a rent payment being made, it may be up to a judge to decide if the payment is valid. If you’re a small landlord — 20 units or less — you may not have the resources or know how to provide tenants with a paperless rent receipt. Avail is generally your best bet for paperless rent receipts. They let you screen potential tenants’ rental history for missed payments, accept online payments and send email receipts and provide you with free lease templates that are state specific and prepared by attorneys. Best of all, they are one of the most affordable options in the industry with your first rental being free. If you’re managing or own more than 10 units, then you may want to step up to a more advanced property management application like Buildium. 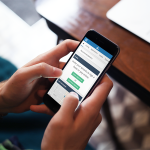 You screen tenants, collect online rent payments and rent receipts, set up and record walkthroughs and more. 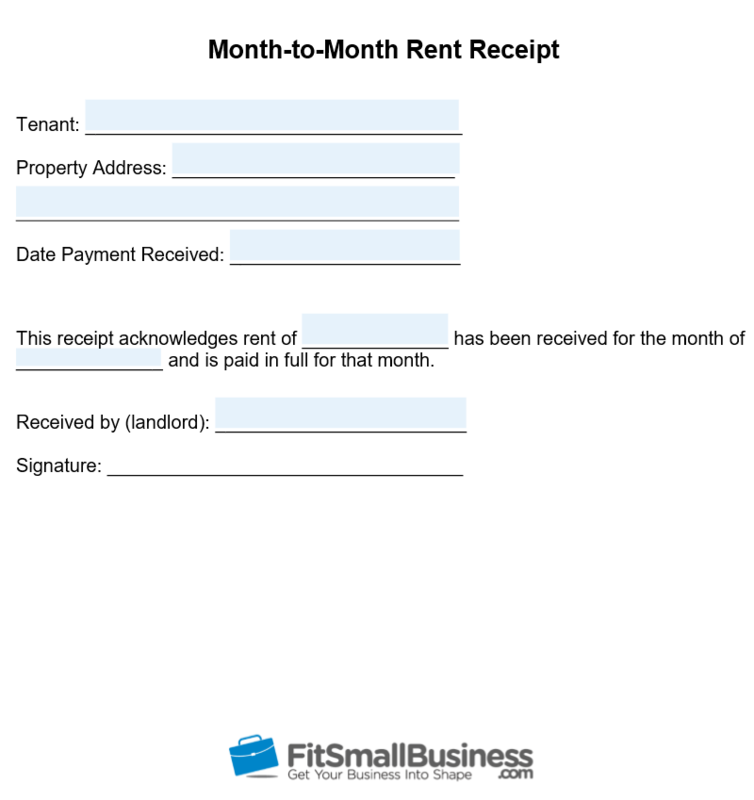 A rent receipt helps landlords and property managers keep track of incoming rent payments and monitor late payments. It also gives tenants documentation proving a timely rent payment. A rent receipt can be digital or paper and usually contains information like the landlord and tenant’s name, property address, rental period and the amount paid. If your tenants can pay their rent with a credit card, then you should consider property management software like Avail. Tenants can pay online and receive automatic email receipts. 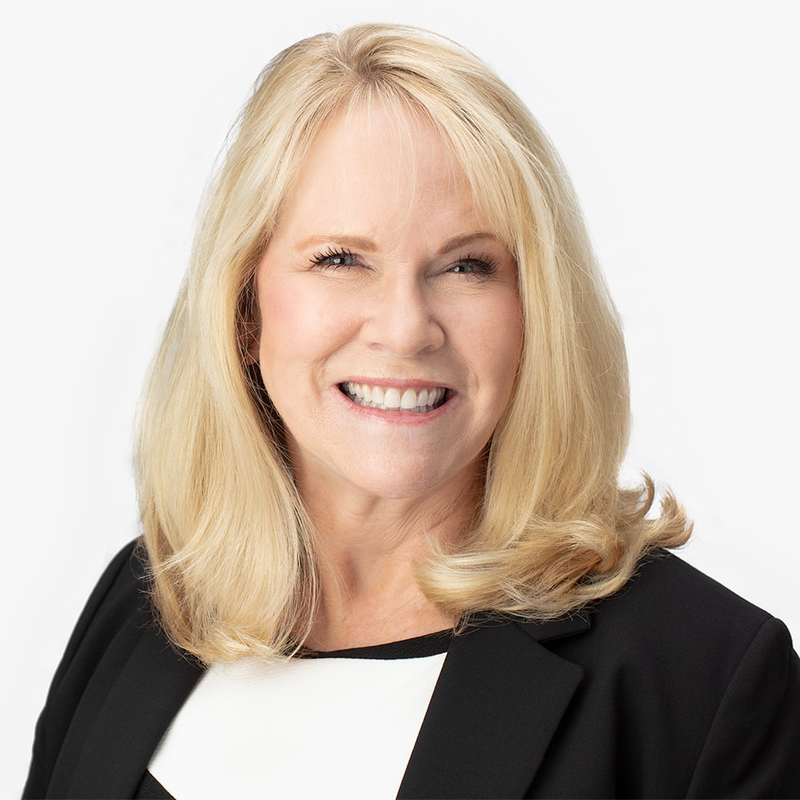 Avail can also save you a bunch of time managing other aspects of your rentals, like tenant screening, lease creation and signing and maintenance scheduling. Try it for free for 30 days. Emile, happy to find your article. Your writing is informative, interesting and valuable to me. Glad you liked the article. Watch this space, we have a ton of real estate investing and property management articles in the pipeline!